Chulalongkorn University (Thai: จุฬาลงกรณ์มหาวิทยาลัย) is the oldest university in Thailand and has long been considered the country's most prestigious university. It now has eighteen faculties and a number of schools and institutes. Regarded as the best and most selective university of Thailand, it normally attracts top students around the country. It is named after King Chulalongkorn (Rama V), and was established by his son and successor King Vajiravudh (Rama VI) in 1917 by combining the Royal Pages School and the College of Medicine. Its campus occupies a vast area in downtown Bangkok, just next to the popular teenagers hangout Siam Square and a few steps away from the most prestigious and private sports club, The Royal Bangkok Sports Club. The symbol of the University is the Phra Kiao, a royal insignia. Diplomas were traditionally handed out at graduation by the King of Thailand, created and begun by King Prajadhipok (Rama VII). But at present, King Bhumibol Adulyadej (Rama IX) delegates the role to one of his daughters, Princess Maha Chakri Sirindhorn. During the years 1973-1977 Princess Maha Chakri Sirindhorn was a student at the University, becoming the first member of the Thai Royal Family to graduate from a Thai university. Prior to that, Thai royals had always studied abroad. 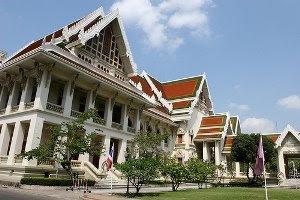 A Brief History of Chulalongkorn University Chulalongkorn University, Thailand's first institution of higher learning, officially came into being in March, 1917. The groundwork and preparation for it in terms of planning and development, however, took place more than a century ago. The worldwide economic, social and political changes in the late nineteenth century contributed to Siam's decision to adapt herself in order to avoid being colonized by the Western powers (“Siam” became “Thailand” in the year 1939). Thus King Chulalongkorn (Rama V) has royal policy to strengthen and improve government so that the country could successfully resist the tide of colonialism. One of the major parts of the policy, which would later prove to be deep-rooted and highly effective, was to improve the Siamese educational system so as to produce capable personnel to work in both the public and private sectors. As a result, a school was founded in 1871 at the Royal Pages Barrack within the Grand Palace compound. Later on, in 1882, King Chulalongkorn developed this school and gave it the name of "Suankularb". In the same year, the King also established other schools, namely the Army Cadet School, the Cartographic School, the School for Princes, and the School for Dhamma Studies. In 1899 Prince Damrong Rajanupab, a younger brother of King Chulalongkorn who was the Minister of Interior at the time, submitted a proposal to found the Civil Service Training School with Phraya Wisutsuriyasak (M.R.Pia Malakul -- who later assumed the title of Chao Phraya Phrasadej Surendradhibodi) as the principal. However, since the students of the school had to work as royal page trainees in their third year of study before graduation, the name of the school was changed to the Royal Pages School in 1902. The Royal Pages School progressed steadily and produced an increasing number of graduates for the government each year. However, King Vajiravudh (Rama VI) saw that the original intention of his father, King Chulalongkorn, was to establish an institution of higher learning. In the beginning, the course of study was focused on government, but as time passed the curriculum should be expanded to include more disciplines so as to meet the expanding needs of the kingdom. Such disciplines included law, international relations, commerce, agriculture, engineering, medicine and teacher education. 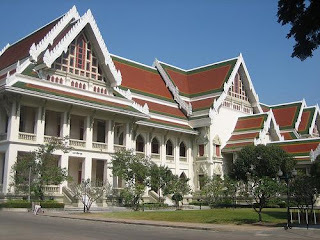 Thus King Vajiravudh ordered that the Royal Pages School become an institution of higher education and gave it the name the "Civil Service College of King Chulalongkorn" on January 1, 1911. The Civil Service College received its original funding from the remaining sum of the money which had been contributed by members of the royal family, government officials and ordinary citizens to erect a statue of King Chulalongkorn the Great. After the statue was completed, about eight hundred thousand baht remained in the Royal Treasury Ministry;with interest the sum totalled 982,672 baht . King Vajiravudh gave this sum as the original capital of the college. Furthermore, he graciously donated the palace of his brother, the late Crown Prince Vajirunhis, as the site of the college. He also gave a large plot of land adjacent to the palace in the Patumwan district measuring about 523 acres in area, for its present use and future expansion. Later the Administration Building was constructed as the first building which belonged to the college from the beginning. After the Civil Service College had been in operation for some time, King Vajiravudh considered that it had achieved a level of readiness. Therefore,he declared that it should become Chulalongkorn University, in honour of King Chulalongkorn,on March 26, 1917. The newly founded university was under the supervision of University Affairs Department, Ministry of Education. Phraya Anukijwithoon was the first principal (the title was changed to Rector in 1935). There was a University Council, which was responsible for policy making, planning, and advising on the affairs of the university. Prince Damrong Rajanupab was the Chairman of the Council and the Principal of the university was the Secretary. When it was first founded, the university had 380 students taking classes in four faculties which were located in 2 campuses. 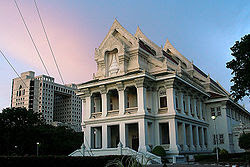 The Faculty of Medicine was located at Siriraj Hospital, while the Faculties of Public Administration and of Engineering were at the Administration Building and the Faculty of Arts and Science was located at Prince Vajirunhis' palace. The latter three faculties were in Patumwan district. The Law School was under the responsibility of the Ministry of Justice until the university was ready to take over, and the Teachers' Training School was handed over to the Ministry of Education. The categories of students were the same as in the old Civil Service College. In 1923, the university accepted high school graduates to study in the Faculty of Medicine, which was being supported by the Rockefeller Foundation to organize a Bachelor's Degree program. Five years later the first group of 18 graduates finished their studies, the first to be awarded degrees in the kingdom. In 1929, the Faculty of Public Administration became the Faculty of Law and Political Science. 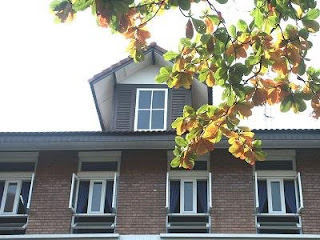 In 1933, after the establishment of constitutional monarchy in 1932, the government transferred this faculty to Thammasat University, which was established in 1934. The result was that Chulalongkorn University had only three faculties during that time. The development of Chulalongkorn University continued. From 1934 to 1958, the university emphasized improvement of undergraduate education; thus more faculties were established. In 1961 the university set up the Graduate School to be responsible for graduate level education. From 1962 on, the university started to focus on graduate education and began to set up research centers and institutes.